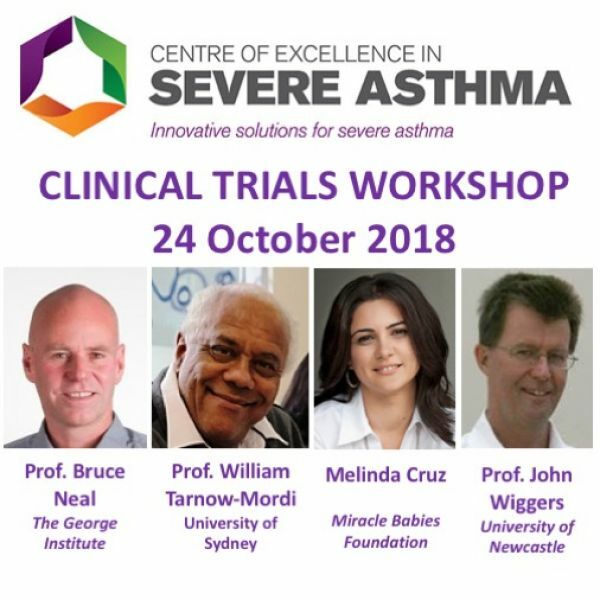 The Centre of Excellence is pleased to be hosting a Clinical Trials Workshop on 24 October 2018 from 1pm – 4pm at the Hunter Medical Research Institute, Caves Theatre. Please download the event flyer. Lunch will be served before the event and refreshments during an intermission. Please RSVP your interest for catering purposes to severeasthma@newcastle.edu.au.